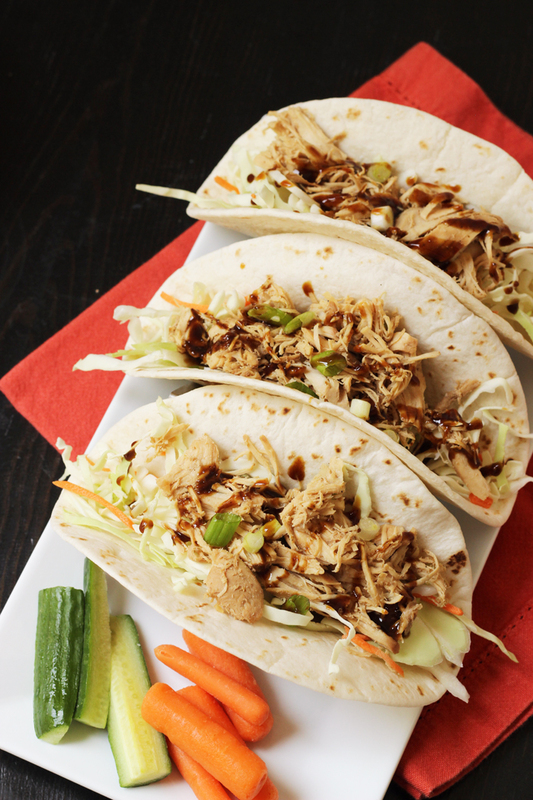 Moo Shu Chicken is an easy and delicious meal that you can make ahead to freeze. A riff on traditional Moo Shu Pork, chicken lightens the dish, while flour tortillas make things easy. 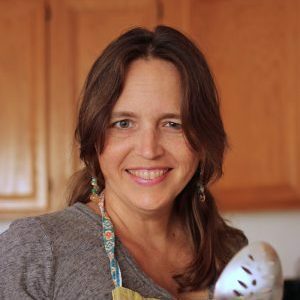 My friend Jessika has been the source of many a great meal, not just when we eat at her house, but also in the recipes she sends me to try. Here are some of my favorites. Jessika is one of my favorite people to drink a glass of wine with and munch on good food. She is a fabulous hostess, going the extra mile to make sure there’s always enough for ravenous teen boys. 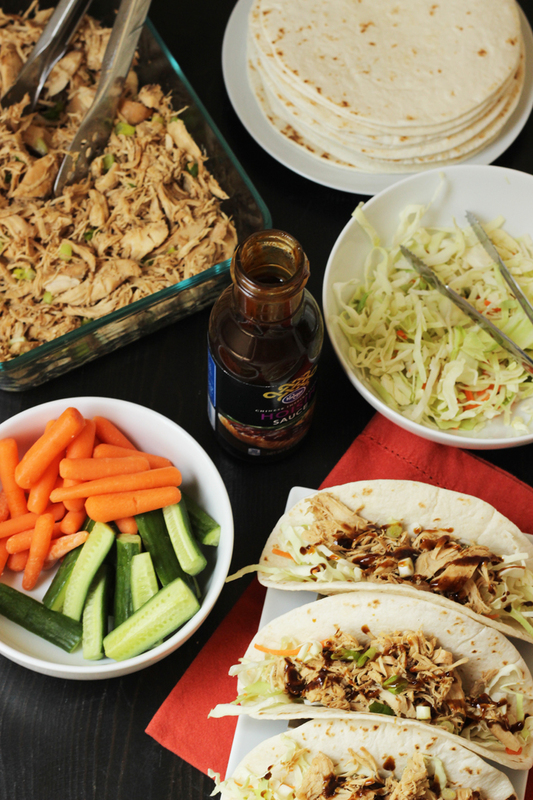 We’ve enjoyed a version of this simple Moo Shu Chicken at her house more than once. 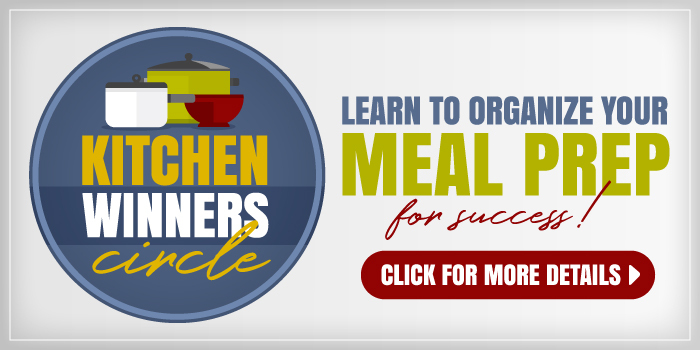 It’s easy to make since the slow cooker does all the work, freeing you up to visit with your company. It’s delicious, full of crisp and fresh textures, and a little sweet and savory party of flavors. It’s even freezer friendly. Just cook the meat in advance to freeze; reheat at your convenience. Traditionally, Moo Shu Pork is served with thin pancakes. Using chicken lightens the dish a bit. Swapping in tortillas makes it super duper simple. Jessika’s original recommendations were to use a whole chicken or chicken thighs. I make this dish with what I typically have on hand: frozen chicken tenders. I’ve also added some sherry and green onions for good measure. The prep time involved is very minimal; the flavor return is huge. Use leftover chicken in Chicken Fried Rice or in Asian Cabbage Salad. 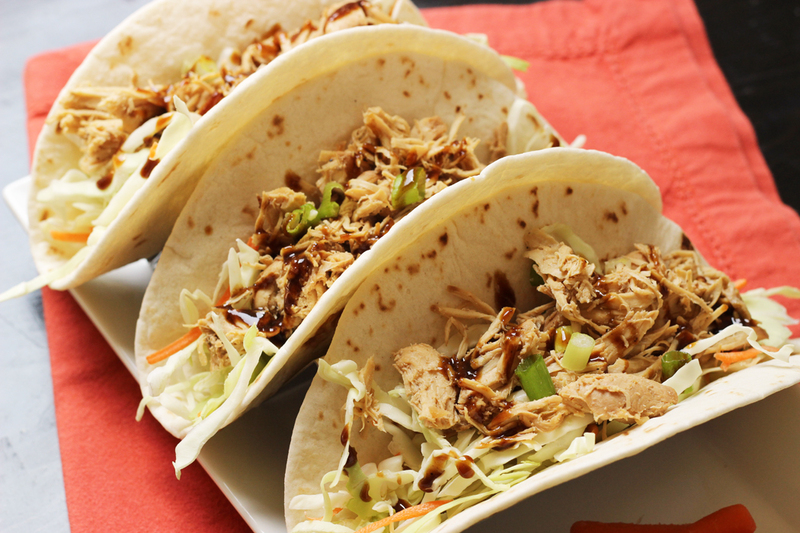 Make this for your next “taco” night and surprise folks with a taste of the Orient. 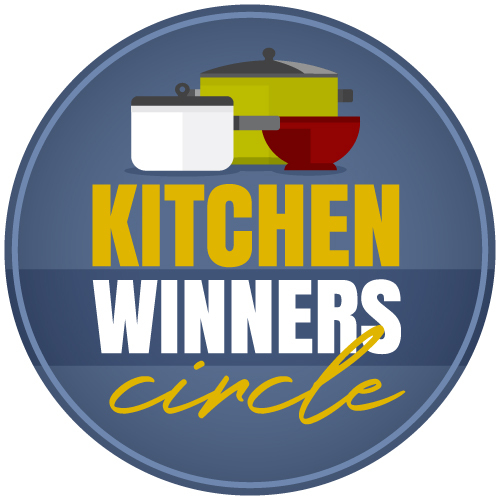 Place the chicken tenders in the crock of a large slow cooker. In a small bowl, combine the water, soy sauce, sesame oil, sherry, ginger, garlic, and pepper. Pour this mixture over the chicken in the crock. Cover. Cook on high for 4 hours or on low for 6 to 8 hours. The chicken will shred easily. Shred the chicken and moisten with some of the juices. Add the scallions and toss gently. To serve, place a small amount of chicken on each tortilla. Top with coleslaw mix. Drizzle with hoisin sauce and sprinkle with chopped cilantro. Leftover chicken can be used in salads, sandwiches, and fried rice. Might have to try these, this was one of our favorite dishes back in the days before kids. I wonder if my girls will eat it. I left all the components separate and let my kids put on what they wanted. You could serve it in a lettuce wrap if you’re still GF.